We have a large selection for you to choose from. 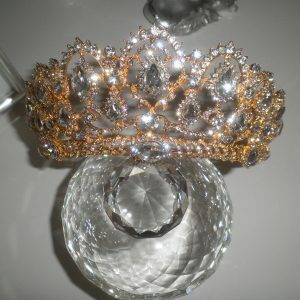 New ab crystal tiara as per photo. Measures approx 5.5cm high and approx 32cm around. 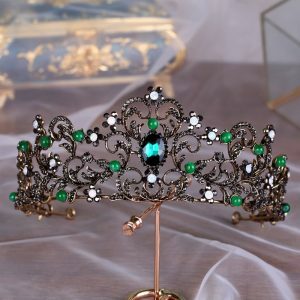 New tiara as per photo. Quite stunning. Has an antique vintage look to it. Approx 5cm high. 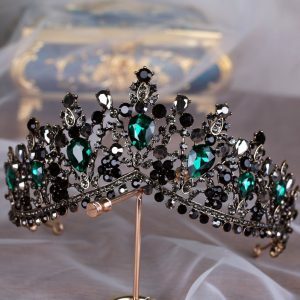 New tiara as per photo. Very pretty. Has an antique vintage look to it. 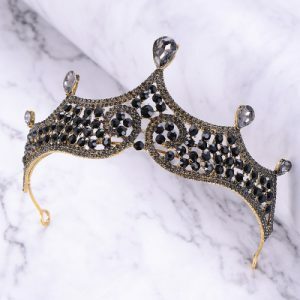 Or Baroque! 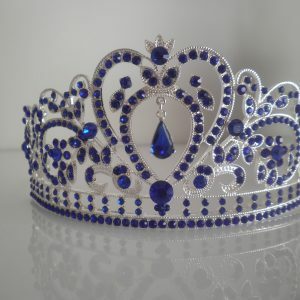 New tiara as per photo. 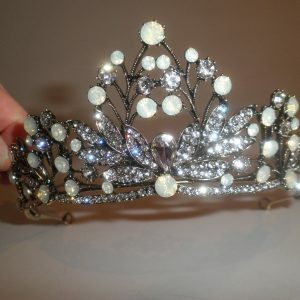 New tiara as per photo. Approx 6cm high. 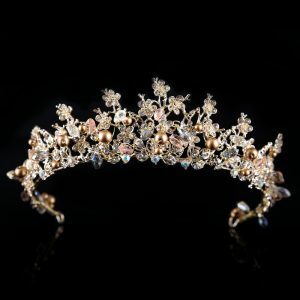 Beige and gold toned beaded tiara. Gorgeous!! 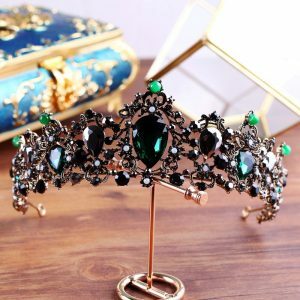 It is the higher tiara in the photo. 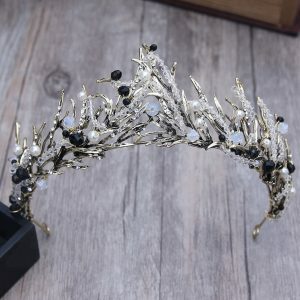 New tiara as per photos. Quite striking! Approx 7cm high. 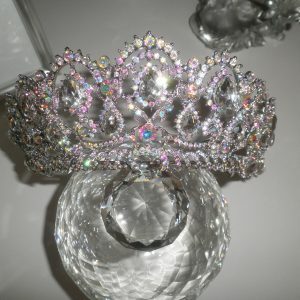 New tiara band as per photo. Measures approx 6cm high. 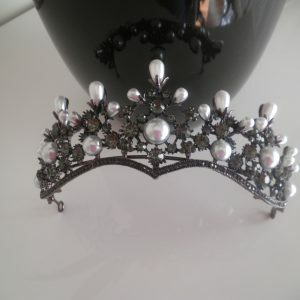 New tiara as per photo. Very effective design. Approx 5.5cm high. 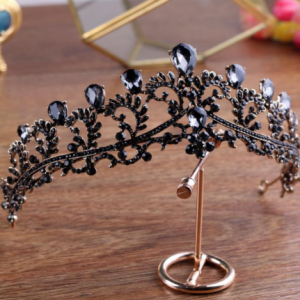 Stunning tiara as per photos. Beautiful blue rhinestone crystals. Quite large measuring at 25cm across the front and approx 6.5cm high. Has small holes at each side for pins to thread through. New bright gold tiara as per photo. Measures approx 5.5cm high and approx 32cm around.